When most people hear MDMA,"they think of illicit and adulterated preparations of the club drug sold as Molly or ecstasy. In reality, however, these street versions often contain adulterants and little or no of the active ingredient 3,4-methylenedioxy-methamphetamine (MDMA). Although ecstasy has been popularly linked to long-term neurological effects and even death—associations that some experts dispute—MDMA has proven safe and nonaddictive in clinical studies. Moreover, MDMA may be remarkably effective when combined with psychotherapy to treat PTSD. Post-traumatic stress disorder (PTSD) is an anxiety disorder that results from exposure to a traumatic experience like death, natural disaster or violence. People with PTSD live in a state of hyperarousal and often re-experience the event that triggered their PTSD in the form of flashbacks or nightmares. They also experience depressed mood, trouble sleeping, trouble breathing and more. It's estimated that up to 23 percent of U.S. veterans returning from Iraq and Afghanistan have PTSD. It's notoriously difficult to treat PTSD. There is some evidence that SSRIs (antidepressants like Zoloft or Paxil) may help treat PTSD. Additionally, psychotherapy including prolonged exposure and cognitive-processing therapy have proven effective in treating people with PTSD; however, many people end up dropping out of psychotherapy. For people with PTSD, psychotherapy can be difficult because psychotherapy requires a patient to recall the triggering event. Some experts claim that MDMA administered before psychotherapy can reduce anxiety, reduce hypervigilance and increase relaxation all while keeping the patient motivated and engaged. Furthermore, MDMA can increase empathy between a patient and therapist and inspire the patient to think about their problems in new and innovative ways thus contributing to insight. Finally, MDMA is nontoxic and short acting. According to Ben Sessa and David Nutt, authors of an article titled "Making a medicine out of MDMA," during psychotherapy, MDMA helps "the patient to reach a position of empathic understanding and compassionate regard is part of their resolution and remittance of symptoms." The nuanced effects of MDMA are attributable to the drug's unique biochemical properties. Specifically, MDMA affects serotonin, dopamine and alpha-2 receptors as well as increasing the release of oxytocin. This release of oxytocin facilitates bonding and empathy. In a first-of-its-kind study, 85 percent of participants taking MDMA during a placebo-controlled study no longer were diagnosed with PTSD after three sessions of MDMA-assisted psychotherapy. Furthermore, these effects were long term, and patients experienced relief from symptoms more than three years after the study ended! Of note, this study was low power with few participants. On a related note, Swiss researchers found that MDMA substantially reduced PTSD symptoms in people with treatment-resistant PTSD. Obviously, more research needs to be done to suss out the clinical benefits of MDMA administration among people with PTSD. We should take a moment to further distinguish the illicit use of ecstasy with the clinical use of MDMA. 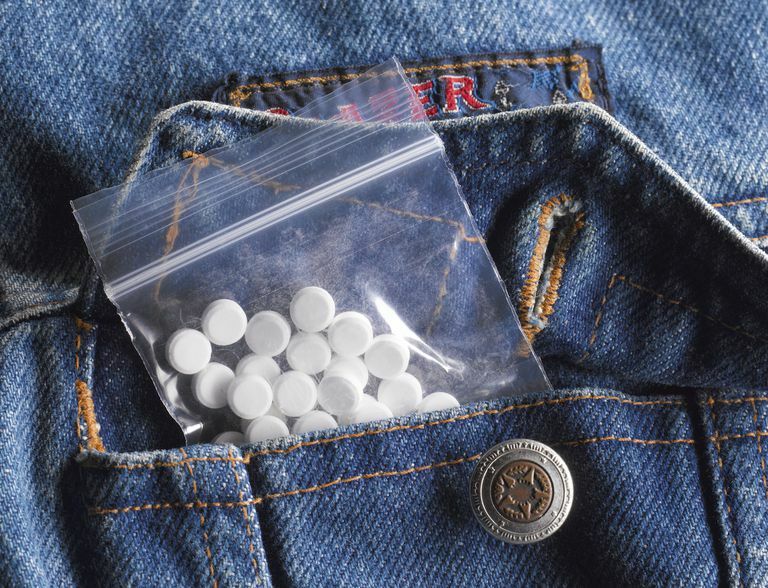 When people purchase ecstasy for recreational use, they typically use the drug excessively, expose themselves to potentially harmful adulterants and use other drugs in addition to MDMA like cocaine, marijuana, and alcohol. In clinical settings, limited doses of unadulterated MDMA are used for short-term adjuvant treatment during psychotherapy. In other words, buying ecstasy or off the street or in some club and using it to treat PTSD is a very bad idea. Although MDMA shows promise as a treatment for PTSD, because of public opinion and government restrictions, MDMA may never be used to treat the disorder. Specifically, both the United States and the United Kingdom have banned the drug. Because MDMA is banned, it's very difficult to procure and test in clinical studies and unavailable for prescription. Nutt, David and Sessa, Ben. "Making a Medicine Out of MDMA." The British Journal of Psychiatry, 2015. Sessa, Ben. "Could MDMA Be Useful in the Treatment of Post-Traumatic Stress Disorder?" Progress in Neurology and Psychiatry in 2011.